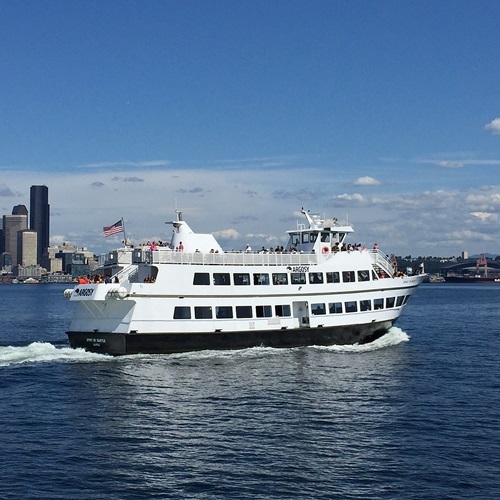 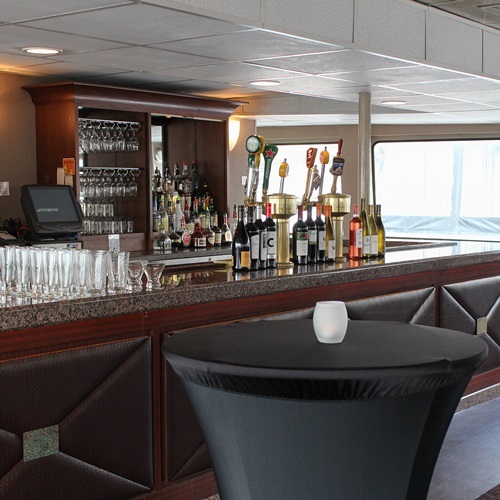 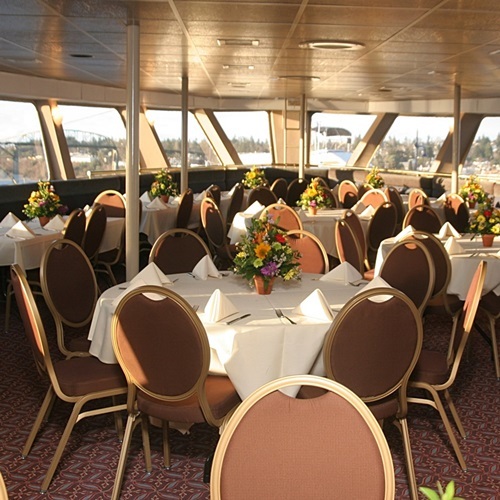 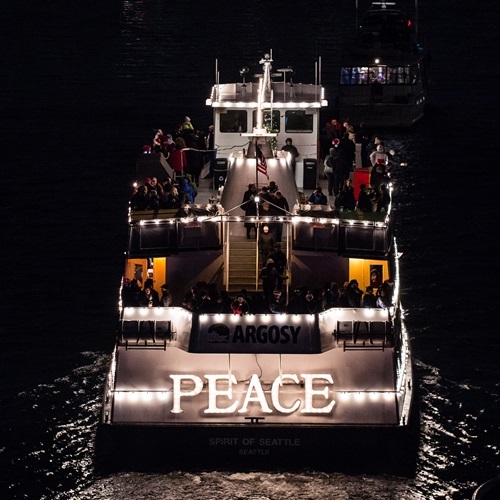 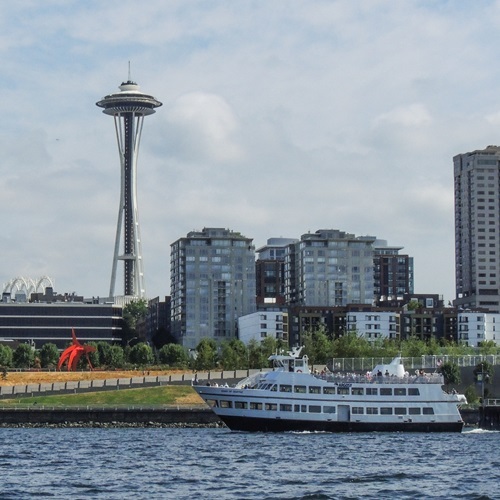 Available for private charters primarily in the shoulder season, the Spirit of Seattle sports 3 decks, 2 full service bars as well as an area for dancing. 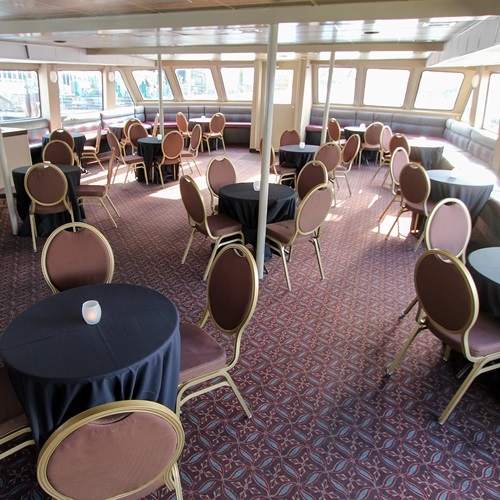 The versatile floor plans of each deck offer both fixed and configurable interior seating. 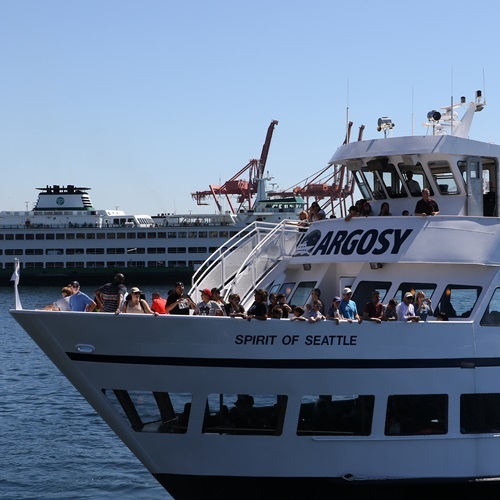 The upper deck features a 360-degree viewing experience perfect for capturing selfies or snapshots of the beautiful Seattle cityscape.